Monitor Backlink Alternatives - Which do you prefer? Backlink is the most importance piece of SEO and one of the few factors that has a direct effect on the performance of a website on search engines. A good backlink profile can make a great difference in the search engine performance of a site and a bad backlink profile can kill your hard work. Monitoring your backlinks is a sure way of knowing when you lose or gain backlinks. Monitor Backlinks is an online search engine optimization SEO tool that provides automatic notification to users when their backlinks status are changed, removed or when they are bound to expire. The benefits of monitoring backlinks can never be over-emphasized. Monitor backlinks saves you time and money doing your backlink verification and monitoring. It is indeed a great application for managing backlinks but one negative side is that the backlink checker from Monitor Backlinks verifies only the top 1000 backlink per domain. Monitor Backlink is a great tool for discovering, analyzing and monitoring backlinks but there are also other awesome alternatives out there with great features that are worth looking at. 1. Linkody: In a recent article on this blog titled “Linkody – Easy SEO Link Management Tool“, I explained the features of Linkody, pricing and why you should get one. Apart from monitoring your backlinks, Linkody also sends you reports of new or lost links to your site. Linkody can also be used to spy on your competitors and analyze their backlink building strategy. Linkody is definitely a worthy Monitor backlinks alternative and one you should consider especially when it comes to pricing. 2. Ahrefs: Ahrefs is yet another awesome Monitor backlink alternative that allows users to do a detailed backlink analysis of your site and identify the days when you gained or lost backlinks in a visual statistics. Ahrefs is just the perfect tool for your backlink management as it allows users to filter the links by multiple metrics such as lost links, links by anchor texts, referring domains, referring IPs, most linked pages, TLDs etc. One of the best features of Ahrefs is the comparison tool. You can simply use this feature to compare your site with that of your competitors and determine where you need to improve. I think you should also consider is as a worthy Monitor backlink alternative. 3. Majestic SEO: Majestic SEO is definitely worth making my list as a worthy Monitor backlink alternative just as Linkody and Ahrefs above. With Majestic SEO you can investigate a backlink profile by checking the history of each backlink, the new and lost links, anchor text distribution, most linked pages and a map with the referring hosting IPs. Majestic SEO has a good backlink and keyword checker tools. Other notable features includes big historic index of backlinks, keyword suggestion tool, website comparison with competitors just as Ahrefs above. 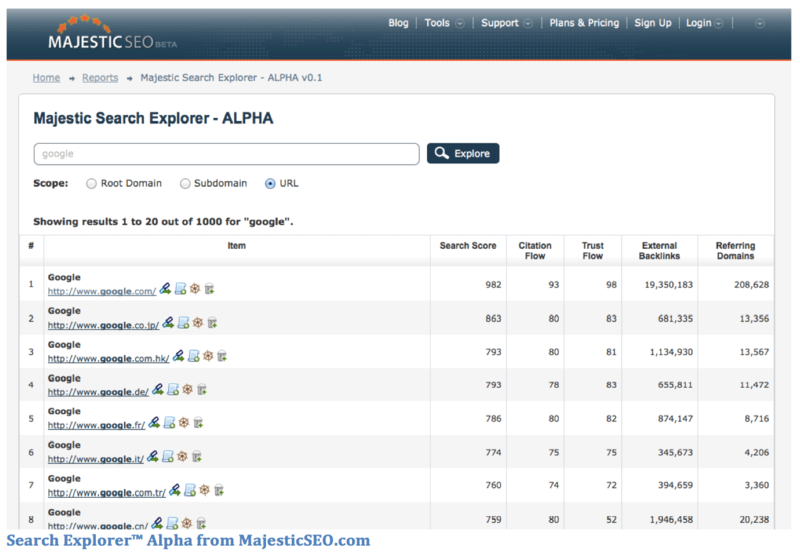 I just couldn’t write about Monitor Backlink alternatives without mentioning Majestic SEO. 4. Open Site Explorer: Open Site Explorer is an awesome SEO tool by Moz and definitely worthy of making my list of Monitor backlink alternatives. 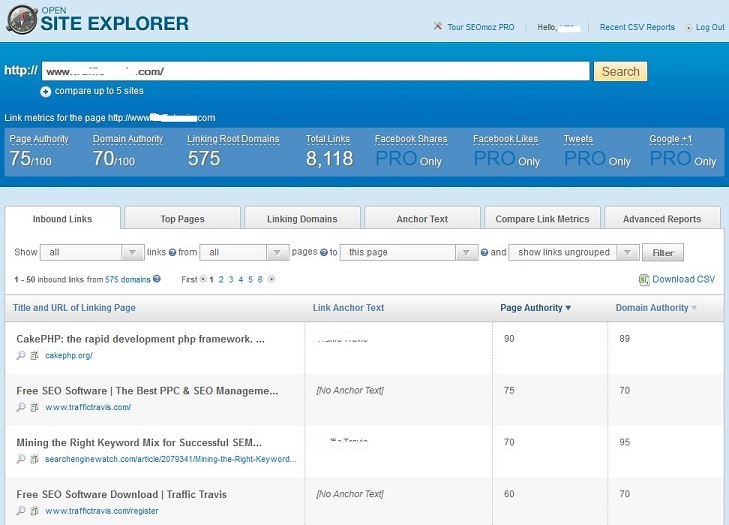 Open Site Explorer by Moz is one of the most popular backlinks discovery and management tools. Open Site Explorer offers great insights about each backlink. It also has a comparison tool that highlights how a site stands next to its competitors, and provides good insights about improving opportunities. There is also “top pages” which shows a site’s most linked pages. The Just-Discovered Links report helps you identify recently created URLs and links. What’s your recommended Monitor backlink alternatives? Do you know of other Monitor backlink alternatives? Which of these Monitor backlink alternatives do you prefer and why? I want to hear your thoughts on this, please drop your experience of these monitor backlink alternatives on the comments below. I generally use “Open Site Explorer” and “Ahrefs” for backlinks analysis. Although free subscription gives your limited but useful details. If you have paid subscription then you can get best analysis of your competitor and own website. Thank you for great review. I am using monitor backlink’s paid version and it is going to be expired by the end of this month. I would surely try Linkody next month, as I have already used rest of tools but monitorbacklinks has impressed me. Let me try Linkody next month. Would get back about it’s review shortly. Looking forward to your review. Thanks for your contribution. I just checked all of them, all are pretty nice and good. The ability to check the links and get notified is awesome. All have competitive prices and services. Back-links are the heart of the SEO, and without it the whole internet community will be at mercy of the scam guys. Thanks for providing the alternatives. The best of all the mentioned is Opensiteexplorer as per my opinion. It provides more information than just back-links. A helpful article, I found it on Kingged. Nice post sir, been looking for something like this for a long time. Thanks for your support Bhavesh Sondagar, I am happy you like Monitor Backlinks. As for Linkody, they have just been trying to copy Monitor Backlinks from the begining (text, design, aligment, features, …), just a low quality and no ethics (and I can say no brain) founders. Choose the copy or the original, it’s up to you. I have been using Open Site Explorer from Moz. 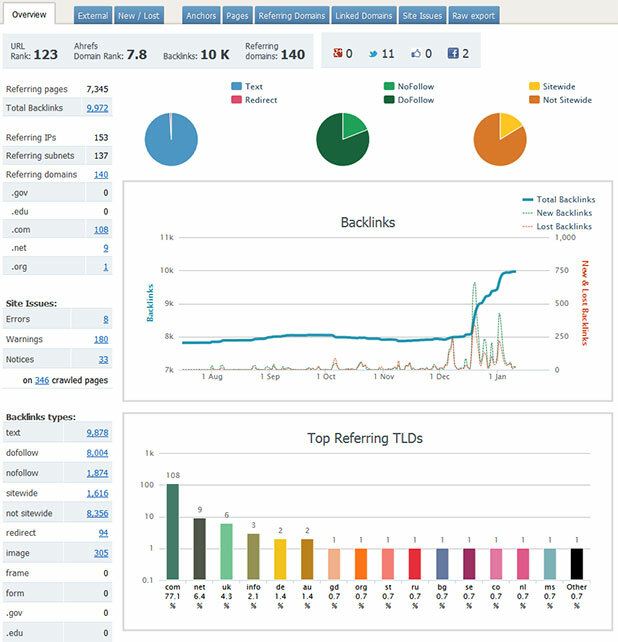 This is a great tool and it is indeed a great for managing backlinks. One of the things I love about this tool is that it helps me analyze the competition effectively during keyword research. I have not used Monitor Backlinks, Ahrefs, or Majestic SEO but it would be great checking them out! I think OSE is the better option especially if you are looking for FREE download option. Great post on backlink software alternatives. We use Google webmaster tools but it is not easy to see the big picture. You need to go one by one and qualify the links, determine follow-status, rank etc. We will try using ahrefs and Opensiteexplorer to track backlinks.